(September 12, 2018—Columbus) – Today, Richard Cordray announced his plan, Supporting Ohio’s Students. The plan was applauded by Becky Higgins, president of the Ohio Education Association. 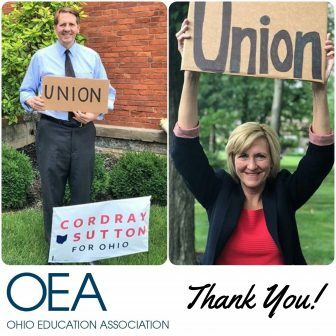 The Ohio Education Association represents 125,000 teachers, faculty members and support professionals in Ohio’s public schools, colleges and universities.